Black Teas are the most oxidized out of any other teas, and therefore generally have more caffeine & are stronger in flavor than other varieties. Our high quality, fresh loose leaf Black teas come from different parts of the world including India, Sri Lanka, & China. 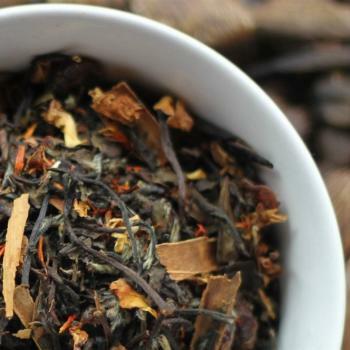 We also offer many flavored Black Teas that are bursting with floral and fruit accents. The suggested water temperature for Black Tea is about 200-210 degrees; water that is just about to start to boil. Whole leaf black teas should be steeped for about 4 to 5 minutes. Steeping any longer will result in a bitter brew.